The astonishing “Selma” is the film that could stop “Boyhood”s seeming march to the Oscars. About Martin Luther King and the Civil Rights movement of the ‘6os, African-American director Ava DuVernay, has done the seemingly impossible and created a moving, tumultuous film that is so right on and right now, Oscar with his gleaming social conscience can not in all good conscience ignore “Selma”, DuVernay for Best Director and the superb British actor David Oyelowo unforgettable, searing performance in the leading role. I could go on and on. And you know what? I will. There is so much to praise about “Selma” and it’s got the sweeping scale and scope that Oscar appreciates and a message that is very, very important for audiences to see TODAY. RIGHT NOW. As I reported earlier, it got a standing ovation at its first public screening in LA at the AFI festival. And Oprah(who’s also in the film) and Brad Pitt are the producers of it.I saw it this week and was just blown away by its’ power. And Martin Luther King is painted as a Christ-like figure. He was a minister after all. But the film doesn’t gloss over his humanity. 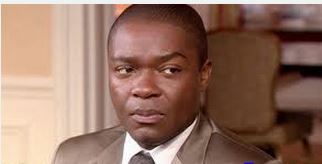 Oyelowo is allowed to go to the dark side with him. They show his infidelity, his troubled marriage to Coretta Scott King, who is the real saintly figure in his relationship, the film makes clear. He makes mistakes. He makes wrong calls. People are killed on his watch. Violence erupts everywhere. For injustices that seem ludicrous to contemplate today, but of course, race in the United States is still a very serious issue. The trouble in Ferguson, Missouri reflects in this incredible, important way. Martin Luther King would not be surprised by today’s headlines. In a way “Selma” predicts them or foreshadows them. And Oyelowo and Ava Du Vernay and the film itself are all going to be nominated for Oscars. “Selma” is so strong, it makes films like “Boyhood” and “Birdman” seem mere piffle, when compared against them. I saw Dr. Martin Luther King speak. He was at my college to deliver a speech on race, talking about what students could do to change things. I remember being impressed by his great, eloquent voice, and the fact that he seemed younger than I had expected. He spoke also completely extemporaneously, with no notes or papers of any kind on his podium. Of course, as “Selma” makes abundantly clear, he was ALWAYS speaking out on the topic of race, and so he needed no notes to guide him. He knew what he wanted to say and said it. I was seated up in a balcony and to the side, so I could see that he had no papers in front of him. I knew I was witnessing a historic moment. And a year later, he was assassinated, while I was still in college. I remember the day so well. “It was unbelievable” I thought “How could this be happening?” He was so young and vital. And then I remember looking out my dorm window at the nearby football field, and seeing the all-white football team practicing, as if nothing of import effecting their lives at the University of Rhode Island had happened. “Selma” brings back all those memories and creates a world of its’ own incredibly vivid and important ones. See this film. By all means, see it.